I realize this has been out for a bit, but I just watched it again and, gotta say, I still love it. The whole vibe seems just right as does the look, the tone and pretty much everything else. Of course, you can’t tell everything from a trailer. Still, if the movie ends up being close to this, I’ll be very happy indeed. Plus, who doesn’t love Led Zeppelin? Anyway, if you haven’t watched it yet, what are you waiting for? Here it is. 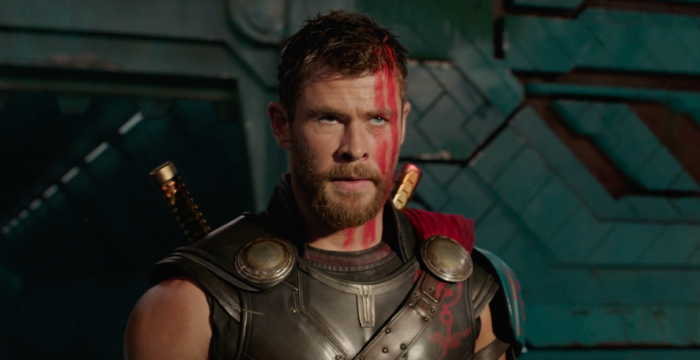 This entry was posted in Cool Stuff, Geek, Movies, Trailers and tagged Chris Hemsworth, Chris Yost, Comics, Craig Kyle, Eric Pearson, Jack Kirby, Larry Lieber, Led Zeppelin, Marvel, Movies, Stan Lee, Taika Waititi, Thor, Thor: Ragnarok, Trailers. Bookmark the permalink.